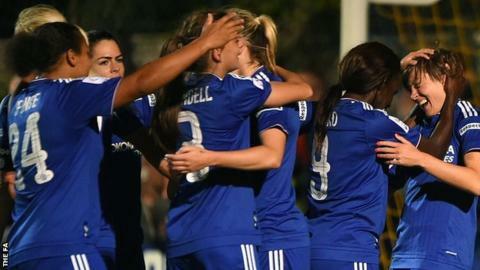 Chelsea Ladies will go into their first ever European campaign without any pressure, says defender Gilly Flaherty. The Women's Super League One champions host Scottish champions Glasgow City in the first leg of their last-32 Champions League tie on Thursday. "We're going into Europe as underdogs. No one expects us to do anything," Flaherty told BBC Sport. "We've set our targets. We'll start with the home leg and hopefully head into the away leg with an advantage." Speaking after winning the league title on Sunday, Chelsea boss Emma Hayes said her side's attacking prowess meant they were "capable of beating any team in Europe." Meanwhile, Glasgow boss Scott Booth has stressed the value of his side's previous experiences in Europe. Glasgow reached the quarter-finals of the competition last season, before losing 7-0 on aggregate to Paris Saint-Germain.